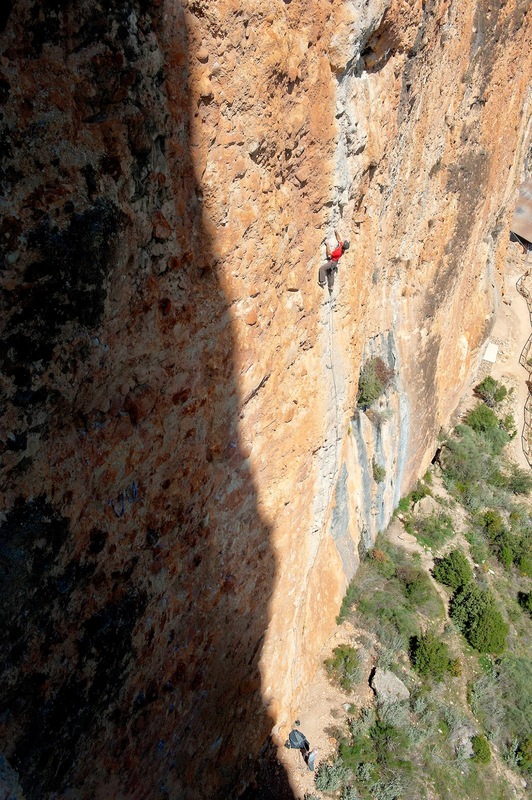 Tom Zappe has added a further two new routes to his list of impressive climbs on sector 'Xinxetes' (Pages 88-89 in Lleida Climbs 2) at Sant Llorenç de Montgai. Tom says that the rock on the lower section (common to both routes) needs careful handling at the moment, but will certainly settle down with more ascents. 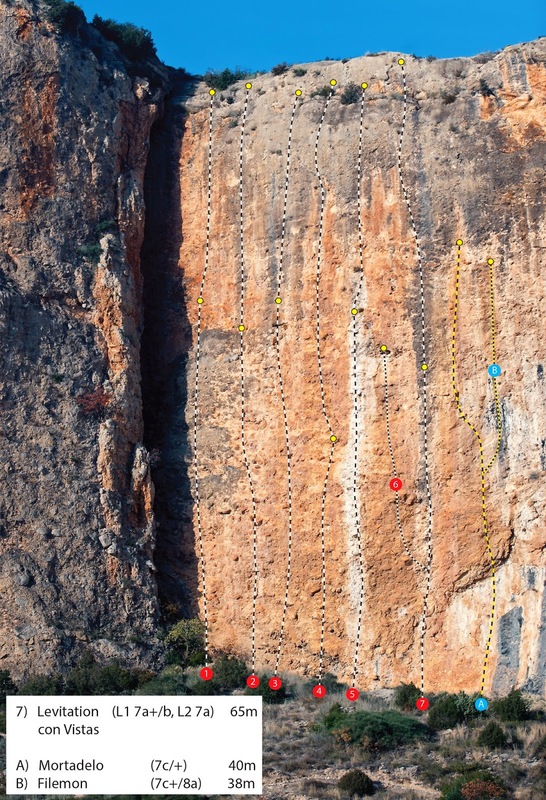 The new climbs are situated just to the right of 'Levitación con Vistas' (7a+/b) and are marked as 'A' and 'B' on the following topo. Tom Zappe on pitch one of La Ratlla/Via de Llons (7b+), Sector Xinxetes, Sant Llorenç de Montgai. Do you know name and grade of the New route left of Mortadelo?